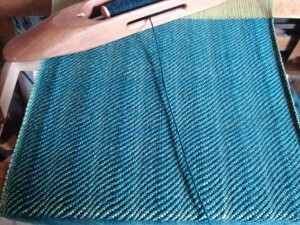 Remember the bright green warp that I put on the loom a few months ago? Well, it’s been calling to me and promising that it really can play well with others. So I decided to give it another chance. 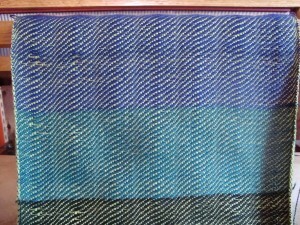 This time, I paired it with a plain weft yarn in a darker shade, hoping that that would tone it down and not get overwhelmed. 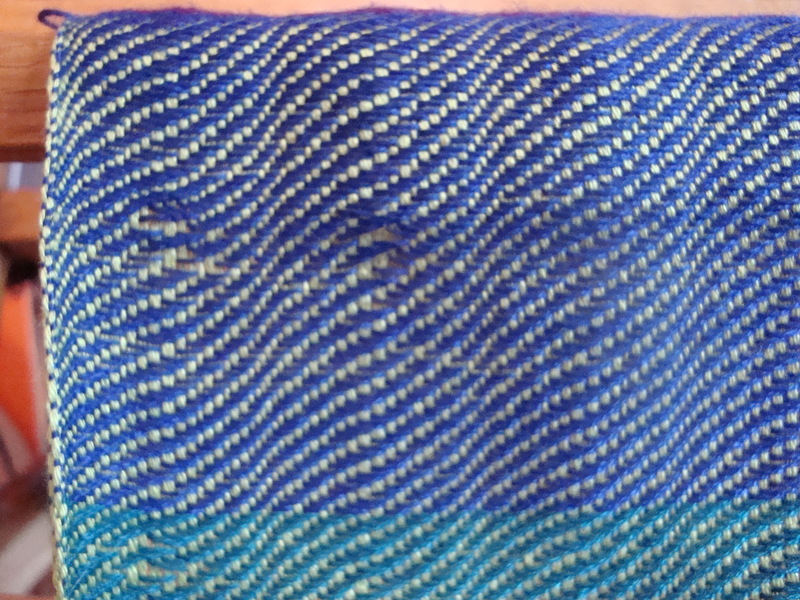 With two simple yarns, I chose a textured stitch pattern with interest of its own. And teal and navy blue. And so I tried a slightly heavier, woolen weft. 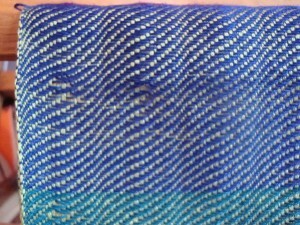 On the bottom you can see purple bamboo, and on the top purple and teal wool. 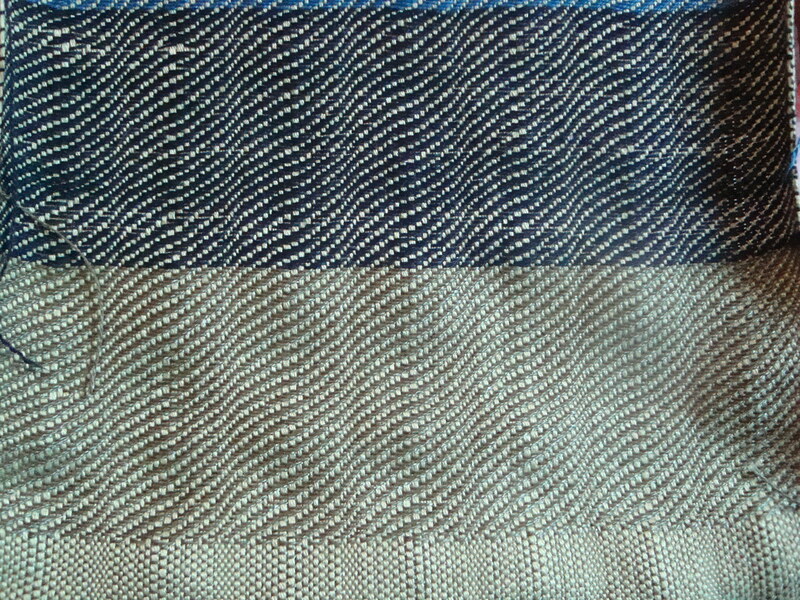 The slightly thicker wool really brings out the wave pattern, and the fabric is more stable, though still a bit delicate, which I hope will work out when I wet-finish the piece. I finally settled on the teal wool for a weft, and am reveling in texture of this weave. 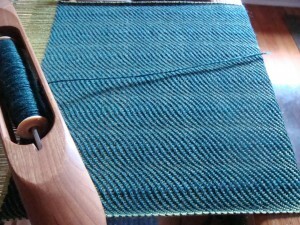 I love the thick, heavy waves of teal, separated by flashes of bright green. It manages to look different from every angle. 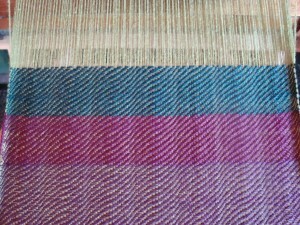 This camera doesn’t do the colors justice, but you will see more when we take it off the loom. 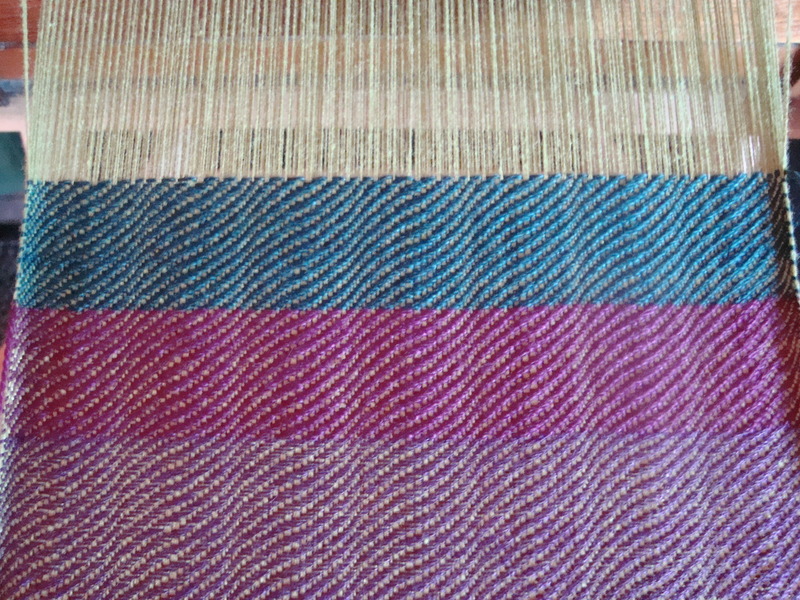 It’s so interesting how poorly this warp matched the first project, and how versatile it has proven to be in the second. 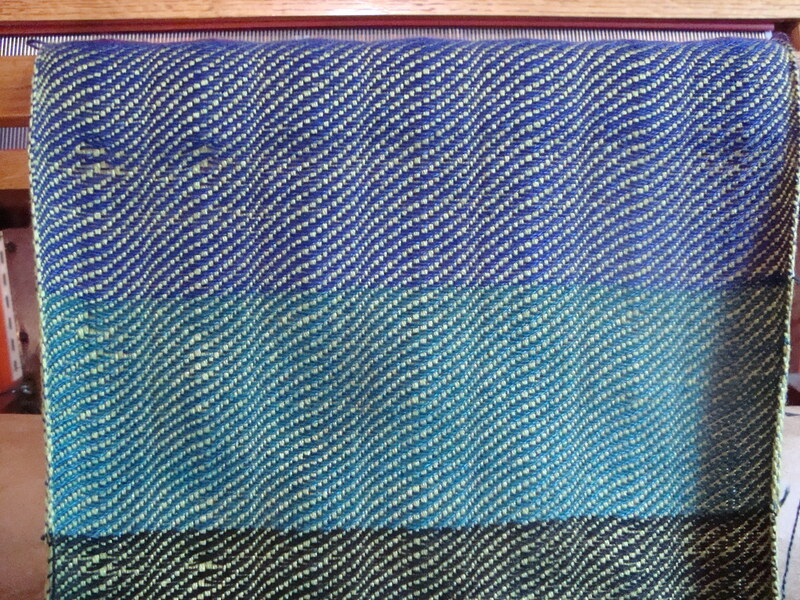 I could have woven it with any of the colors that I tried. 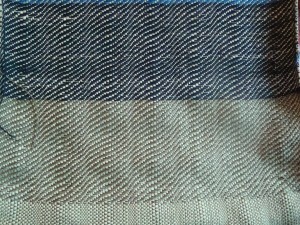 It just needed the quiet of a dark, solid weft to let its true colors shine. Wow, that is a lovely color. Excellent pairing! Beautiful! I love the comparison shots of the different wefts, too. You are so right – you could have used any of the colors that you tested, but I love what you decided on. Beautiful! It really is amazing what a difference it made to go with a darker color – I love your final choice. DesigKnit is powered by	WordPress 4.8.9 . Page generated in 0.279 seconds using 36 queries.